Larger Quantities: The table above includes quantities up to 1,000 coasters but when ordering you will see the pricing for up to 2,500 coasters. If you need more than 2,500 please contact us for special pricing. Additional Line Charge: If you request more than 4 lines of copy, there is a fee of $10.00 per additional line. 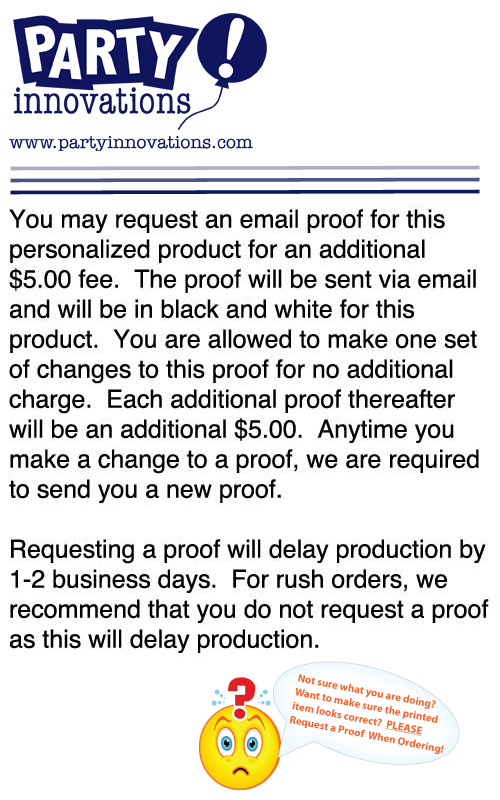 A proof will automatically be sent if this option is requested and is included in the $10 fee. We will inform you via email or phone of the extra charge before proceeding with the order. 2-Side Printing: We are able to print on both sides of this item. Please contact us for pricing for this service. Unprinted Coasters/Plain Coasters: We offer this item without any printing at a discounted rate. If you are not able to find this item on our website please contact us and we can assist you in ordering it.